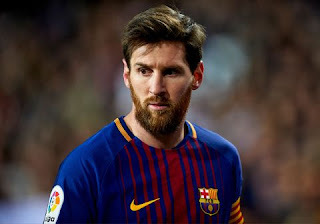 The announcement of the name of Lionel Messi’s third child has caused a stir with Chinese supporters of the Barcelona ace, who have been left dumbfounded as the transliteration of the name in Mandarin is said to be the same as that of rival Cristiano Ronaldo. The 30-year-old, who confirmed the new arrival last October, took to Instagram on Wednesday to reveal that he and his wife Antonella Roccuzzo had decided to name their child Ciro. Coincidentally, following the rules of transliteration, which is often based on the phonetic translation of words, the third child of the Messi family will share the same Mandarin Chinese adaptation of his Real Madrid nemesis. In Chinese, given the length of the Portuguese international’s name, which would read as ‘Kelisidiyanuo Luonaerduo’ in Mandarin, efforts in the past have been made to shorten the adaption out of convenience with the Los Blancos No. 7 now affectionately known as C-Luo. On the other hand, the Italian pronunciation of Ciro, as in Ciro Immobile, for instance, has given rise to the phonetic translation of Qiluo. It remains to be seen which pronunciation of the name will be adopted; should it be the Spanish version, then Messi’s son will share the same name as Cristiano Ronaldo – in the eyes of the Chinese anyway.